I am not a big fan of writing code…the stuff I struggled through at UCI more than cured me of any itch to be a code monkey. 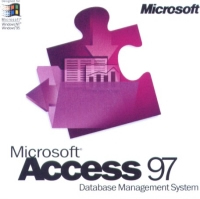 However, by virtue of my many hats, as a DBA (Database Administrator) I sometimes have to write some Visual Basic in queries in order to correct information in records I’m dealing with. One of the more interesting challenges I have undertaken in the past (before my blogging days) was to write code that formats people’s first or last names. In Access 97 there is a function called StrConv() which suits this purpose well, but it doesn’t go far enough. Some last names contain apostrophes (“O’Enright”), dashes (“Enright-Smith”) or the field that you are editing may contain both first initial and last name separated by a dot (“M.Enright”), etc. and your StrConv function won’t catch those cases. This example corrects last names with dashes in them. The green portion grabs the substring from the start of the name until the end of the dash. In our example of (“Enright-Smith”) this substring would be: (“Enright-“). The orange portion does a StrConv on the remaining string to capitalize the first letter in the word coming after, i.e. (“Smith”). The plus sign in between the two places the two separate strings together to form our new and formatted string. Note: You can run the same function, replacing “-” with dot or whatever character you choose. Also, note that there are other more complicated functions that have been written to manipulate strings of text, but the code I provided here will deal with most scenarios. If you have any doubts, you should check your data for other cases.
' Capitalize first letter of every word in a field.
' for example, [Last Name] = Proper([Last Name]).
' but MacDonald is changed to Macdonald, and van Buren to Van Buren.
' Option Compare Database in the Declarations section of this module.
' letter needs to be capitalized but has no preceding letter.